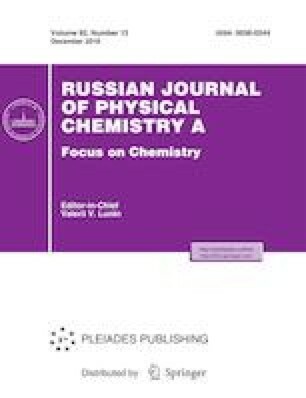 This research demonstrates the stability of linkage isomers of [1,2-H2-3,3-(CO)2-3-X-closo-3,1,2-ReC2B9H9]; X = η1-NO, η2-NO, η1-ON by the use of MPW1PW91 quantum method. The singlet and triplet states were considered for studied complexes. Structural parameters, HOMO-LUMO gap, energies of frontier orbital and vibrations modes of CO and NO ligands were explored in linkage isomers in two states of spin. Moreover, the interaction of bonding between the NO+ with [1,2-H2-3,3-(CO)2-closo-3,1,2-ReC2B9H9]– fragment, NO– and [1,2-H2-3,3-(CO)2-closo-3,1,2-ReC2B9H9]+ fragment was analyzed using the energy decomposition analysis (EDA). Nucleus-independent chemical shift (NICS) values were determined at the center of carborane indicate aromaticity of cage.